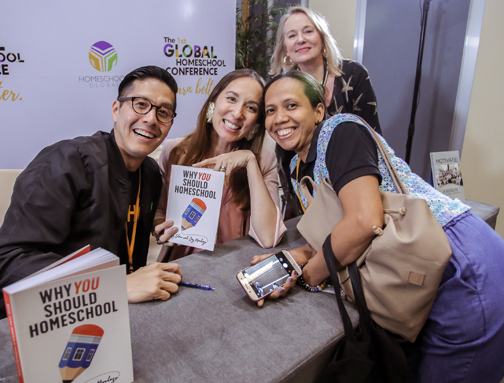 The recently held homeschooling conference in the Philippines has attracted 1,573 parents, educators, teens, and kids across 11 countries. Homeschooling kids man booths where they sold their handmade products. 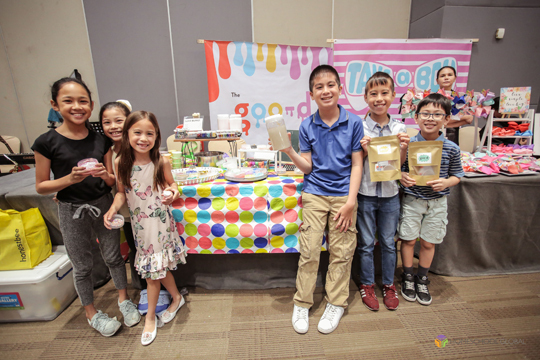 Staged by Homeschool Global, the #1stGHC, held at the SMX Convention Center, SM Aura Premier in BGC, featured a wide array of talks on education and parenting which catered to both homeschooling and conventional school-going families. International thought leaders in the education and homeschooling sphere, Brad Huddleston, best-selling author of Digital Cocaine: A Journey Toward iBalance, and Dr. Debra Bell, pioneer homeschooler and a best-selling author herself, flew all the way from the US to deliver their keynote messages. Meanwhile University of the Philippines Diliman Chancellor Dr. Michael Tan wowed everyone with heartfelt messages for both his keynote talk and his workshop. Citing the problems it poses for both parents and educators, Huddleston advised parents to “de-addict/dis-connect” their children, to do activities together like reading books and traveling, and to restrict screen time. He urged parents not to give their children iPads until they turn 11. But while technology has its share of negative effects on how children learn, it can also be maximized in a way that gadgets become part of a comprehensive and nourishing learning experience. Dr. Tan, meanwhile, talked about the “The Impact of Homeschooling on Philippine Education,” explaining its fast traction among parents who value both family time and quality education. In between plenary discussions from these renowned speakers, participants also got to choose from workshops headlined by seasoned homeschoolers, educators, and homeschool students. There were dads who talked about how being a father means actively participating and providing time for the homeschooling journey of their children as the “principal” of the home. Award-winning blogger, best-selling author, and a homeschool mom who’s a homeschool graduate as well, Joy Tan-Chi Mendoza, shared tips and tricks for moms so they can pace their day and set their schedule to be able to do their housework on top of homeschooling their kids without losing their sanity. Other topics discussed were “Creative Ideas for Homeschooling,” “Learning Better in a Community,” “Children with Special Needs,” “Parenting and Building Character,” “How Homeschooling Can Prepare You for College,” and “Bullying, Depression, and Suicide,” to name a few. There was also a Homeschool Exchange that showcased business opportunities for homeschoolers by homeschoolers. Capping off the event was a “Showcase of Talents” featuring homeschool performers and fast-rising folk-pop band Ben & Ben (one of the duo, Poch Barretto, is a product of homeschooling).